Atlas Copco says its newly-launched, battery-powered Scooptram ST7 runs a lot cooler than the same equipment using a diesel engine, says Erik Svedlund, a product manager for electric vehicles. Svendlund, who spoke to MINING.com at the CIM 2016 Convention in May, says the difference can be quite significant, which in turn has a bearing on underground ventilation costs. “Diesel engines raise the temperature quite a lot. If you would look at Scooptram ST7 behind me, the diesel version would raise the temperature by about 19 degrees,” says Svendlund. Read more of this article where it was first found. 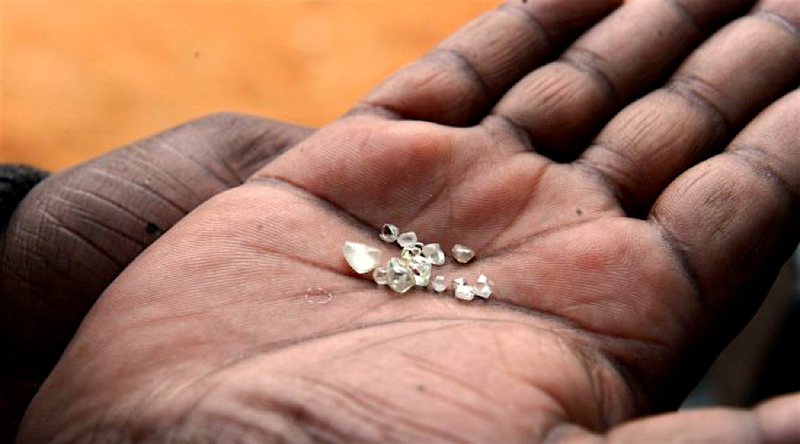 Central Africa Republic will be allowed to resume diamond exports after a three-year ban that tried preventing armed groups from financing one of the bloodiest conflicts the region has seen in recent years by illegally selling local gems. The partial lifting of the export ban follows a deal between CAR’s government and producersbrokered by the United Arab Emirates last March. It will initially apply to the southern region of Berberati, Mines Minister Leopold Mboli Fatrane said as reported by Reuters. A Brazilian judge on Tuesday dismissed a civil lawsuit for 20 billion reais (roughly $5.8 billion) against Vale (NYSE:VALE) and BHP Billiton (NYSE:BHP) for a fatal spill at their Samarco joint venture iron ore operation in November. Reuters reports the The National Humanitarian Society (Sohumana) filed the lawsuit seeking environmental and property damages before a federal judge in Rio de Janeiro in December. Another civil lawsuit brought by Brazilian prosecutors for 155 billion reais (around $45 billion today) against the two companies and the 50-50%-owned mine operator Samarco Mineracao, Brazil’s federal government along with the Minas Gerais and Espirito Santo state governments is still being considered. Demands include an upfront payment of $2.2 billion. In March Vale and BHP reached a deal with Brazilian authorities and the mine owners agreeing to pay an estimated 24 billion reais or $6.2 billion spread out over several years. Samarco committed to providing $1.1 billion through 2018 into a fund for clean up costs and amounts between $200 million and $400 to 2021. The disaster in Brazil’s Minas Gerais state caused sludge to wash downstream into neighbouring state Espírito Santo through remote mountain valleys reaching the Atlantic ocean 600 kilometres away. Vale SA and BHP Billiton will pick up the tab should Samarco be unable to make payments. The mine which has annual capacity of roughly 30 million tonnes has been closed since the November 5 disaster that killed 19 people and left hundreds homeless. 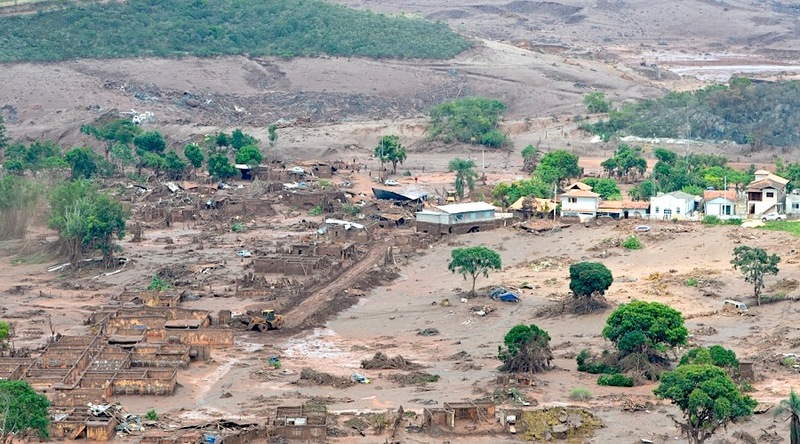 Samarco hopes to re-open the mine before the end of the year. In January BHP said the tailing waste spill was much smaller than previously determined. The volume of tailings material released when two dams were breached was about 32m cubic metres. Initial estimates were put as high as 60m cubic metres. Samarco also found that approximately 85% of the released tailings were retained within 85 kilometres of the Fundão dam. Both BHP and Vale were trading lower in New York on Tuesday on a generally down day for mining stocks. Melbourne-based BHP market value is around $70 billion down 19.5% since the spill while Rio de Janeiro-based Vale is little changed over the period for a $22 billion market cap. There seem to be quite a few articles surfacing on the issues of mining dust. Here are a few more as well as in interesting article on the affects of air pollution on our lungs. The Northern Territory Department of Mines and Energy are investigating whether waste rock at Glencore’s McArthur River Mine is burning yet again. In 2013 the site’s waste rock combusted, emitting clouds of sulfur dioxide; now the department is determining whether the same instance is occurring again. NT Mines and Energy minister David Tollner said the government had ordered restrictions on mining at the site while investigations at two waste facilities take place, according to the ABC. “We’re concerned the same sort of rock was placed on that southern waste facility and the same reaction could be taking place,” Tollner said. He said that the department noticed a “rather large plume” coming from the mine on July 23, and upon inspection mine staff found it was dust from mining activities on the dump. The site was immediately instructed to stop all activity on the dump and provide a report on why certain dust mitigation measures were not adhered to. He said that the department is investigating both waste sites, the second at the northern waste dump. Glencore stated it is co-operating with the Northern Territory’s mine departments. However, it is understood there are no combustion issues relating to the site, rather there have been higher than usual recorded dust levels at the mine’s northern overburden emplacement facility. “There is no fire, and there have been no spontaneous combustion issues; it’s very much a dust issue,” a source close to the operation told Australian Mining. The Mine Safety and Health Administration recently announced results from coal mine dust sampling from April 1, 2016 through June 30, 2016, claiming that 99 percent of the samples were in compliance with MSHA’s coal mine dust standards. The agency stated the results demonstrate the “significantly positive impact” of new coal dust sampling rules published in 2014. The new rules “closed many loopholes in the dust-sampling program” that according to the agency “had left miners exposed to” unhealthy dusts. The rule also included provisions for sampling frequency and the use of a new sampling device. For the recent sampling, the agency analyzed more than 20,000 underground coal mine operator samples using the new, cutting edge Continuous Personal Dust Monitor that provides miners with dust results in real time during the working shift. About 99 percent were in compliance. These results correspond to the respirable dust samples collected from Aug. 1, 2014, through Jan. 2016, during Phase 1, when 87,000 dust samples were collected from surface and underground coal mines by MSHA and coal mine operators. Nearly 99 percent of those samples met the dust concentration limit. MSHA noted that Phase III of the rule begins in August. Phase III will lower the respirable dust limit from 2.0 mg per cubic meter to 1.5 mg per cubic meter of air. Operators should remain diligent with respect to efforts to reduce coal dust levels in accord with MSHA’s efforts in this area. Environment related problems harm both the planet and people’s life and health. Air pollution is bad for the ozone layer, but also for a series of medical conditions, such as lung problems or other respiratory issues. A new study found that lung cancer patients have reasons to worry about. Recent research has brought to light that air pollution aggravates the health status of people suffering from lung cancer. There is a high probability that polluted air can reduce the lifespan of patients who had recently been diagnosed with lung cancer. In the case of such a diagnose, there are 50 percent chances for the patient to live. The chances decrease by more almost a half (to 30 %) if the patient is exposed to unhealthy air. An experiment was conducted by specialist Sandrah P. Eckel, who is an assistant professor at the University of Southern California (Los Angeles). The experiment was carried out with the help of 352,000 patients, and the results showed that toxins in the air we inhale tend to affect patients with lung cancer in its early stages. The study lasted for 21 years, from 1988 to 2009, and some of the patients reached terminal phase and died by the end of the study. Thank you for reading and enjoy your day! The revitalisation of the South African mining industry through the resuscitation of research and development (R&D) is under way as an outcome of the Mining Phakisa, a strategy forged by 120 government, company, union and nongovernmental participants, who last year spent five weeks working together to position South African mining as a collaborative engine for holistic economic growth. The old Chamber of Mines Research Organisation (Comro) facility in Carlow road is being reopened under CSIR manager mining and mineral resources Navin Singh, who is intent on putting South Africa’s once globally recognised mining R&D back on the world map. The Department of Science and Technology has contributed an initial R17-million in seed funding to put focal projects in motion for quick wins and allow a consultant to gather data to develop business cases for localisation. “This hub is beginning to buzz,” says Mining Phakisa strategist Edwin Ritchken, who spoke to Creamer Media’s Mining Weekly Online on the sidelines of the Southern African Mining and Metallurgy Institute’s (SAIMM’s) minerals industry colloquium. Engagement will take place to exhaust all rapid implementation possibilities, while at the same time the public and private sectors work together to boost the mining value chain for the benefit of the entire South African economy. With the spotlight on mining South Africa’s hard-rock narrow reefs in a modern way, an equipment manufacturing cluster has been established with the support of funding from the Department of Trade and Industry. Full use is being made of the availability of vast volumes of underground data in researching and developing real-time systems on which rapid decision-making can be based. Veteran researcher Rod Pickering, who spent 20 years at the Chamber of Mines Research Organisation (Comro) running the stoping technology laboratory, says he has yet to come across a better rockbreaking solution. After leaving Comro in 1996, he has spent another couple of decades focused on the adoption of better mining methods in the narrow-reef space. “Moving to nonexplosive mining is where we need to be going,” says Pickering, who has witnessed controlled foam injection (CFI) in action in Colorado, where it has been developed by fellow researcher Chapman Young, the president of CFI Technologies. Using it would mean that Southern Africa’s hard-rock gold, platinum and chrome mines could operate around the clock, twenty-four hours a day, seven days a week, which current drill-and-blast technology does not allow. “There’s no loud bang, no dust. It’s a gentle way of breaking the rock, and that’s one of the important things about the use of foam,” he says. (Also watch attached Creamer Media video). But how does a mixture of air and water with a little bit of soapy material manage to break hard rock? In much the same way as explosives do, except it happens in a totally inert way, with no chemical reaction whatsoever. A probe placed into the drilled hole is sealed to keep the foam in the hole under pressure, and out pops a large slab of rock. 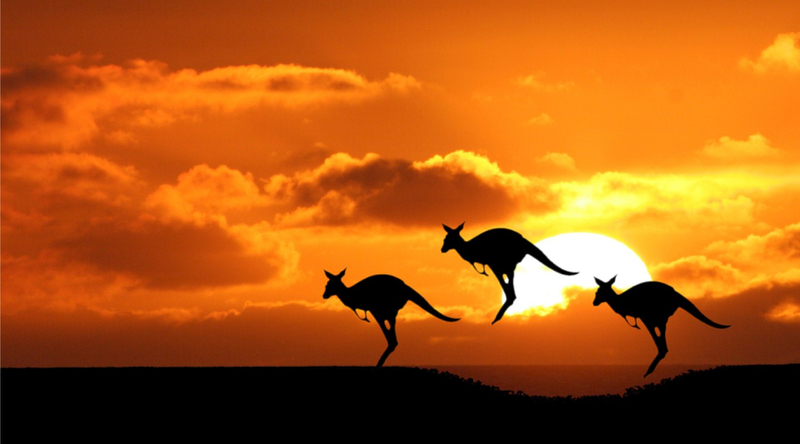 Despite a painful readjustment caused by a recent global collapse in commodity prices, Australia is seen as the world’s most attractive region for mining investment, according to the latest annual global survey of mining executives released Thursday by the Fraser Institute. Mining has been the driving force of Australia’s economy for longer than anyone cares to remember, helping GDP growth average 3.6% a year for most of this century. But the last two years were brutal and the country’s mining titans — such us BHP Billiton and Rio Tinto — had to tighten their belt and implement a series of cost cutting measures to weather the storm. The worst, however, seems to be over. At least for Australia, which has been able to offer competitive, transparent, and stable mining policies to encourage exploration and investment despite the global rout, the Fraser Institute’s report shows. Canada’s policy think-tank’s Annual Survey of Mining Companies rated 109 jurisdictions around the world based on geologic attractiveness and the extent government policies encourage or deter exploration and investment. The following will be useful for you. Asbestos is a set of six naturally occurring silicate minerals, which all have in common their eponymous asbestiform habit: long (roughly 1:20 aspect ratio), thin fibrous crystals, with each visible fiber composed of millions of microscopic “fibrils” that can be released by abrasion and other processes. They are commonly known by their colors, as blue asbestos, brown asbestos, white asbestos, and green asbestos. Asbestos mining existed more than 4,000 years ago, but large-scale mining began at the end of the 19th century, when manufacturers and builders began using asbestos for its desirable physical properties: sound absorption, average tensile strength, resistance to fire, heat, electricity, and affordability. It was used in such applications as electrical insulation for hotplate wiring and in building insulation. When asbestos is used for its resistance to fire or heat, the fibers are often mixed with cement or woven into fabric or mats. These desirable properties made asbestos very widely used. Asbestos use continued to grow through most of the 20th century until public knowledge (acting through courts and legislatures) of the health hazards of asbestos dust outlawed asbestos in mainstream construction and fireproofing in most countries. Prolonged inhalation of asbestos fibers can cause serious and fatal illnesses including lung cancer, mesothelioma, and asbestosis (a type of pneumoconiosis). Illness from asbestos exposure can be found in records dating back to Roman times. Concern in modern times began in the 20th century and escalated during the 1920s and 1930s. By the 1980s and 1990s, asbestos trade and use were heavily restricted, phased out, or banned outright in an increasing number of countries. The severity of asbestos-related diseases, the material’s extremely widespread use in many areas of life, its continuing long-term use after harmful health effects were known or suspected, and the slow emergence of symptoms decades after exposure ceased, made asbestos litigation the longest, most expensive mass tort in U.S. history and a much lesser legal issue in most other countries involved. Asbestos-related liability also remains an ongoing concern for many manufacturers, insurers and reinsurers. Thank you for reading – Dust Monitoring Equipment – providing equipment, services and training in dust fallout management to the mining industry. Here are a couple of interesting articles I found revolving around coal dust and lowering the limit of coal dust to prevent miners exposure. ARLINGTON, Va. — Exactly two years after its landmark rule aimed at preventing black lung disease took effect, the U.S. Department of Labor’s Mine Safety and Health Administration began implementing provisions of the third – and final – phase of the rule. Effective Monday, the overall respirable dust standard in coal mines is reduced from 2.0 to 1.5 milligrams per cubic meter of air. The rule also reduces the standard for miners diagnosed with black lung, and for air used to ventilate areas where miners work, from 1.0 to 0.5 milligrams per cubic meter of air. In July, MSHA announced approximately 99 percent of the respirable coal mine dust samples collected from April 1 through June 30 complied with coal mine dust standards. Using the new, cutting-edge continuous personal dust monitor that provides miners with dust results in real time during the working shift, agency personnel have analyzed more than 20,000 underground coal mine operator samples. “Black lung has claimed tens of thousands of lives,” said Joseph A. Main, assistant secretary of labor for mine safety and health. “The positive sampling results are due to the extraordinary efforts of MSHA and industry working to clean up the air that miners breathe and successfully implement the respirable dust rule. “The nation’s coal miners are better protected from debilitating and deadly disease than ever before, but we still have much more work to do to prevent black lung. Miners deserve to work their shift each day and return home healthy and safe,” he said. Since the final rule went into effect on Aug. 1, 2014, MSHA and mine operators have collected more than 122,000 respirable dust samples and more than 99 percent of those samples met compliance levels. On Jan. 25, the U.S. Court of Appeals for the 11th Circuit denied a challenge to the dust rule brought by two separate groups representing the coal industry. The court found that MSHA acted within its statutory authority in promulgating the dust rule, and that MSHA’s dust rule reflected reasonable agency decision making based on an expansive rulemaking record. Prolonged exposure to respirable coal mine dust can lead to black lung, a debilitating and deadly disease. The National Institute for Occupational Safety and Health estimates that black lung has caused or contributed to the deaths of 76,000 coal miners since 1968. Since the late 1990s, the percentage of miners identified with black lung has increased from 5 to 10 percent among long-tenured workers More than $45 billion in compensation benefits have been paid out to coal miners disabled by black lung and their survivors. New mining regulations take effect across the country today. The U.S. Mine Safety and Health Administration is limiting the allowable respirable dust level from 2 milligrams per cubic meter to 1.5 milligrams per cubic meter of air. “If you’re mining coal, then you’re making coal dust and you’re going to breathe it,” said Mark Dorsey, who worked in the coal mines for 42 years. Several retired miners say the dust particles that you cannot see are the most toxic. “[Many years ago] they had a lot of fatalities, because of a lack of dust control,” said Michael Phillippi, the international field representative for the UMWA, and a former miner himself. The National Institute for Occupational Safety and Health estimates that black lung has contributed or caused the deaths of more than 76,000 miners, including Phillipi’s grandfather. “Hopefully [this rule] will be the safety measure that saves a lot of lives after they leave the industry,” said Mike Caputo, a delegate and UMWA official. With the advent of technology, retired coal miners hope that apparatuses like personal dust monitors (PDMs) can help improve the industry, adding a layer of transparency and accountability. “You wear [the PDM) continuously and it monitors the amount of dust you would be breathing in,” said Phillippi. The PDMs were implemented in February, providing safety officials with an indication of how and when to lower the dust levels. The coal industry had balked at the new limits, arguing that the monitors had high failure rates. “There’s just a lot of complications with this whole thing, as it regards to personal dust monitors and a whole lot of new things,” said Bill Raney, president of the West Virginia Coal Association. Federal mine safety officials say, however, that results show the new rules have been effective. The U.S. Mine Safety and Health Administration says 99 percent of recent coal samples have met the new standards. Retired miners want to see those levels drop even further. Ratings agency Fitch on Wednesday affirmed South Africa’s investment grade credit, and surprisingly kept its outlook stable, but it warned that political and growth concerns should be addressed. This follows rating reviews by Moody’s and Standard & Poor’s, who both kept South Africa above non-investment grade – also known as junk status. Read more at the original site.